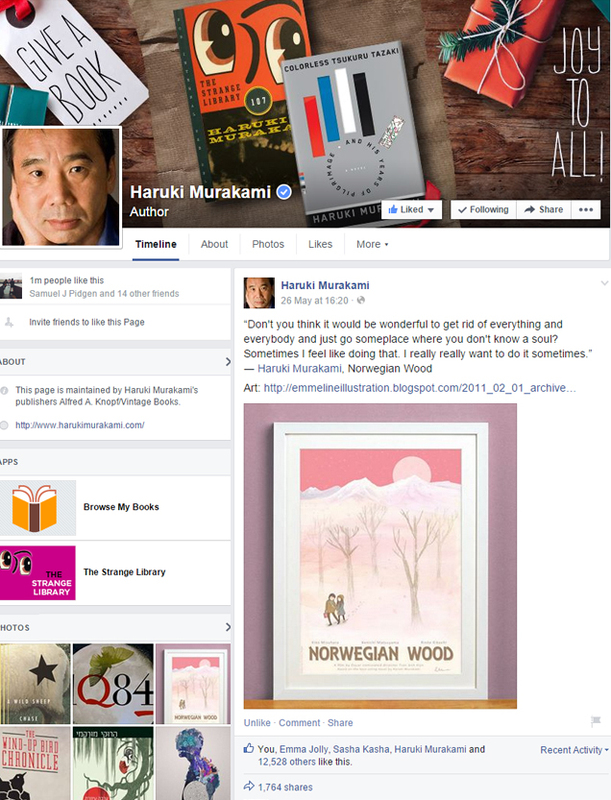 Earlier this week one of my Twitter buddies sent me a message to say my Norwegian Wood print had been featured on the Haruki Murakami facebook page! Murakami's one of my very favourite authors, which is why (back in 2011) I submitted my poster illustration for an exhibition at the Curzon Soho cinema to celebrate the launch of the film adaptation of Murakami's Norwegian Wood novel. This is actually one of the few illustrations from t'olden-days that I'm still happy with, so it was humbling to see such a huge response to it! So, yeah, I've been dealing with a bit of a landslide of print orders this week...but I've just posted a bag-full off and I'm diving back into illustrating! If you fancy a look at the prints I have available, they're all in my online shop here (and psst! a brand new print will be popping up there soon!). Definitely tempted to step into a Murakami novel this weekend! Cats and jazz forever.